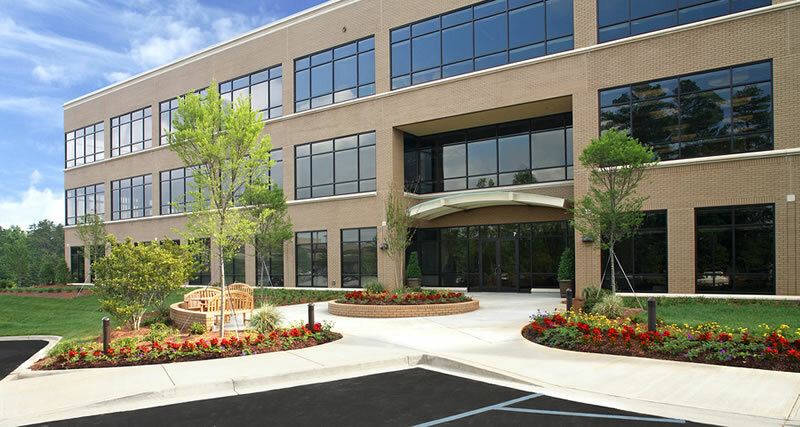 Maintaining a commercial property is a lot of work and the last thing you want to worry about is your landscaping and the appearance of your property from the street. If you have a large commercial property with an intricate landscape with large lawn or garden areas hiring the right professional team to care for it can make a dramatic difference in your commercial properties curb appeal. Why Do You Need A Commercial Landscaper? Do you need to install or renovate your existing landscape? Are you unhappy with your current landscape maintenance company? Do you have seasonal plantings and gardens you need to maintain? Do you need someone to maintain a complex irrigation system? Do you need snow plowing and snow removal services in the winter? Green Acres Lawn & Landscape is a licensed and insured Kansas City landscaping company that specializes in providing landscaping solutions for commercial properties. Whether you’re looking to renovate an existing landscape, take care of seasonal and regular maintenance, repair an irrigation system, or you need someone to provide snow removal services in the winter we offer tailored landscaping and landscape maintenance solutions for our commercial clients. If you’d like to schedule a consultation with us to discuss your commercial landscaping needs we’d be happy to meet with you. Please call (913) 422-5111 or fill out our online form and we’ll get right back to you.